But while Huang describes this as a “very interesting lab discovery,” he warns against premtaure enthusiasm. That’s because it’s so far only been demonstrated on small-sized samples, such as metal plates or on wires. 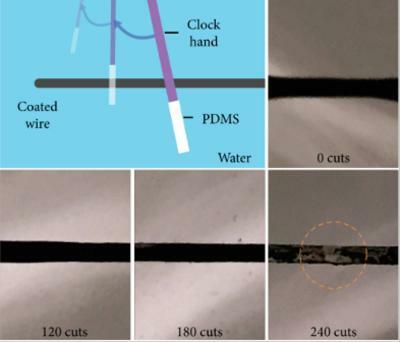 Provided that there is no problem when scaling it up, though, one possible real-world application could include emergency underwater repair of coatings on metal structures - since the modified oil can be brushed directly onto metal underwater. It might also be useful as a temporary anti-corrosion solution for metals which are going to be placed into highly corrosive environments.